(Nanowerk News) With a surprising discovery, an international team of scientists from Radboud University, Switzerland and Japan demonstrates the feasibility of selective magnetization switching inside a microstructure by using laser light. Their findings ("Nanoscale sub-100 picosecond all-optical magnetization switching in GdFeCo microstructures") open opportunities for very-high-density information storage media. Researchers at PSI spotted a curious black-and-white magnetic substructure on a five-by-five micrometre square – and were reminded of the stylised Batman logo. The black areas reveal where the magnetisation is pointing downwards, i.e. into the picture; the white ones where it is pointing upwards. 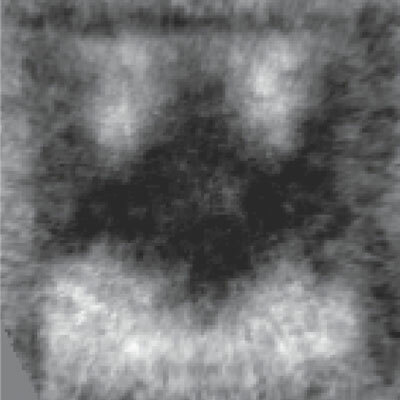 When the size of the magnetic microstructure was still pretty large, of the order of five thousandth of a millimeter, the laser light did not switch the structure homogeneously but formed a ‘batman’-like pattern (see Figure 1). This pattern showed features which were smaller than the wavelength of the light, showing that light-matter interaction strongly depends on interference of the incident and the reflected light waves. Thus, the switching pattern can be controlled by structure design. Using computational methods the authors confirmed this hypothesis and revealed the feasibility of nanoscale magnetic switching even for an unfocused laser pulse. 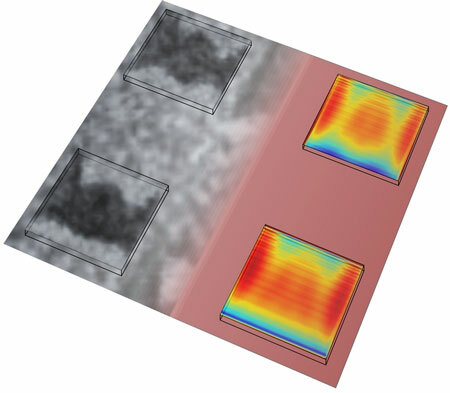 Controlling the switching pattern, which in this particular case had an ironic ‘batman’-like shape, opens novel opportunities for very-high-density data storage, for example by recording several bits of information in a single magnetic structure. Experiment and theory by comparison: the PSI researchers’ Dutch colleagues were able to illustrate the magnetic structures generated by laser beams effectively in computer simulations.